Symptoms: The food aversions still very much there. Still can't really stand the thought of grilled food or preparing raw meat in general. I don't have cravings as much as just certain things sounding better than others... such as... pickles. Yes, pickles. I usually get sliced pickles at work every night. This week: Overall, was a pretty good. I think I am feeling better most days than not. Some days I actually feel great. So I am hoping that the second semester is finally kicking in, and the first trimester nausea and sickness is booted to the door. We celebrated grandpa's birthday last night, and everyone had a good time. Minus mama who was worried big sister was going to have a meltdown at any minute. Keeping her entertained and busy is hard wok. It was probably our fault though... we chose a restaurant that was not so much kid friendly. Coming up: Prenatal appointment on Monday! Which means... 4 weeks left until gender ultrasound! Try Nutella with peanut butter and marshmallow fluff. I LOVE the three combined. MMMM want some. 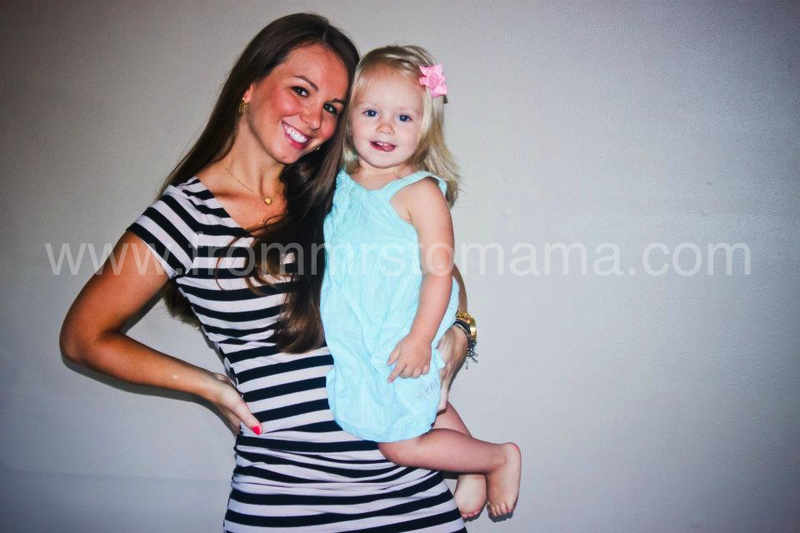 Cutie pics! You look great! Glad to hear you're feeling better. The bump is growing so fast!! You look adorable girl ! When I tired Nutella from the first time, I didn't like it at all (and I'm not even pregnant!). I'm thinking boy now ... I changed my mind. You're carrying him so low! But you look fantastic and Im happy to hear you're feeling a little better! Yay for a bit of nutella! That should make mama happy! Glad things are turning around a bit! You look so dang cute! I vote boy.... EVERYONE is having boys!! its kinda freaky. You look great! I love that dress. I'm voting boy too. I've had a HUGE aversion to meat too. Raw meat makes me want to vomit. I keep hoping the farther along I get, it will decrease but I'm almost 21 weeks now and it's still as strong as ever. Seems like this is a common aversion. 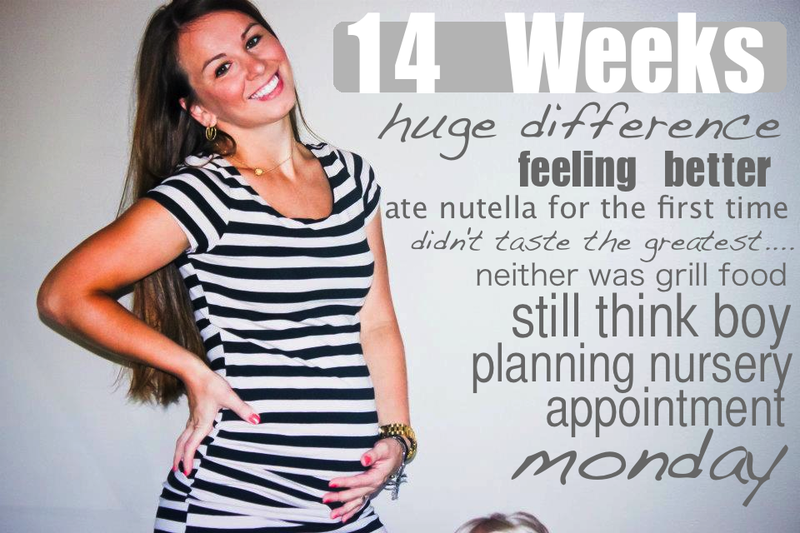 I had a MAJOR aversion to raw meat for the first half of my pregnancy. We ate a lot of pancakes and pizza for those first few months because I couldn't handle cooking anything with meat! You look amazing! I can't wait to hear what baby #2 is! Awww you look so cute with your baby bump. I like Nutella but it's one of those foods I have to be in the mood for to eat lol..
Glad to hear you are feeling so much better. You look fabulous! LOVE LOVE LOVE!! You look great!! You look absolutely fabulous love and I am so glad you are feeling better!! Thy first trimester every moment sickness is the pits! Totally kidding ;) just wanted to keep you on your toes... of COURSE You are glowing and as beautiful as ever :) I'm thinking it's another girl!! Glad you're starting to feel better! You look so cute! I had a lot of food aversions my whole pregnancy, mainly chicken. Funny how that happens. Glad the you're feeling better! ah can't wait to hear boy/girl! So glad you are feeling better and you look great!!! E's face in that pic is hilarious!!! I love that last pic of you!! Even though you may not be FEELING good you certainly are glowing and look beyond gorg!!! :) Hood luck at your appointment on monday! Definitely a boy. I love your shirt!! your belly is so cute!! Love ya and your cute belly bump!! I love your bump and outfit! You make it all look so cute. We are apparently the same week pregnant! So thankful to be in the second trimester and I'm sure you are too! Look forward to reading more! You are one hot Mama girl :) I still have yet to try this Nutella craze. To be honest it scares me. 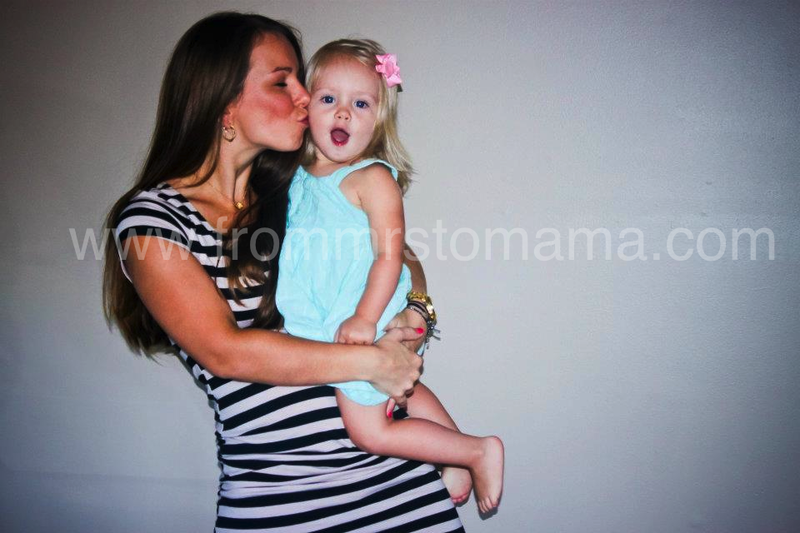 Love love love the pic of you kissing E. She has such personality! You have such a precious baby bump! Pregnancy suits you! I hope your food aversions get kicked to the curb soon!